Here is the latest installation of bi-weekly reflections on the Heidelberg Catechism. As a way to mark the 450th anniversary the publication of one of the most significant documents in the Reformed tradition, I’m offering these brief thoughts. (For some background and the entire document, check this out). Q. 50. Why is there added: “And sits at the right hand of God”? A. Because Christ ascended into heaven so that he might manifest himself there as the Head of his Church, through whom the Father governs all things. Q. 51. What benefit do we receive from this glory of Christ, our Head? A. First, that through his Holy Spirit he pours out heavenly gifts upon us, his members. Second, that by his power he defends and supports us against all our enemies. Q. 52. What comfort does the return of Christ “to judge the living and the dead” give you? A. That in all affliction and persecution I may await with head held high the very Judge from heaven who has already submitted himself to the judgment of God from me and has removed all the curse from me; that he will cast all his enemies and mine into everlasting condemnation, but he shall take me, together with all his elect, to himself into heavenly joy and glory. Q. 53. What do you believe concerning “the Holy Spirit”? A. First, that, with the Father and the Son, he is equally eternal God; second, that God’s Spirit is also given to me, preparing me through a true faith to share in Christ and all his benefits, that he comforts me and will abide with me forever. 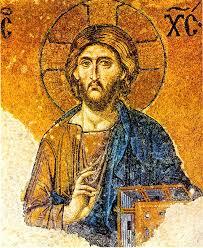 The risen and ascended Lord Jesus Christ alone is Head of the Church. Scripture is rife with this idea, though perhaps Paul states it most clearly when he says, “And he is the head of the body, the church. He is the beginning, the firstborn from among the dead, that in everything he might be preeminent” (Colossians 1:18 ESV). This place of authority is what is meant by the expression “seated at the right hand of God”, which refers to a place of power and preeminence, not necessarily physical locality, as if Jesus has a chair next to the Father. The fact that he is said to be seated indicates not only a kingly ruling position but also hints at the completed nature of his atoning work. It is in this position of power and preeminence that the ascended Savior exercises his authority and defense of his Body, and also the place from whence he pours out blessings upon his people. Yet the one who is our Head is also the one who will come as Judge. This should not generate fear in believers, but should produce a settled confidence and even eager expectation of judgment because of who it is that will be executing that judgment. The Creed then moves to confess what it is that we believe about the Holy Spirit, and it is immediately obvious how brief this is in comparison. Sadly, this finds its corollary in much of Christian trinitarian reflection, where the Spirit is treated as the tag-along little brother of the Father and the Son, or as the member of the Trinity to whom we ascribe whatever works we cannot directly attribute to the Father and the Son. In truth, the Spirit is not only “equally eternally” God along with the Father and the Son, but is vitally active throughout Scripture from Creation, from when the Spirit was “hovering over the face of the waters” (Genesis 1:2) to the spiritual re-creation of individuals (Ezekiel 36:26-27) to the restoration and re-creation of all things (Revelation 21-22). It is the Spirit who indwells us, unites us to Jesus Christ, and remakes into his image “from one degree of glory to another” (2 Corinthians 3:18). He is the Comforter and Counselor sent by Christ to guide us into truth and make his home with us and bring us peace (John 14:15-31). Though all of that is not expressed in the Creed, by confessing faith in the Holy Spirit we are confessing faith in the Spirit as he is revealed to us in Scripture. It is the Spirit whom Jesus sent to equip and empower his Church, and the Spirit who unites us by grace through faith to the Risen Christ who alone is Head of the church.